When we talk about festival makeup, we can’t leave out glitter. Whether you want to line your brows with glitter like that Instagram trend or want to go batshit crazy and use glitter as a mask, Too Faced has got the craziest glitter-filled collection that is sure to awake the inner glitter-lover in you. Aptly-named Life’s A Festival, it is an absolute must-have collection for festival-goers and all of us who just want to let our inner unicorns shine. https://www.instagram.com/p/Beq_tzlD9nT/?taken-by=toofacedIt’s pretty obvious that the rainbow-coloured and glittery collection was literally inspired by unicorns and all their magic. And we love it. With an eyeshadow palette, lipsticks and lip toppers, highlighters, a bronzer, a setting spray and a rainbow strobing brush, you can create multiple glittery and colourful festival looks just from from this collection alone. Don’t expect to have many mattes from this eyeshadow palette. It’s meant to be totally colourful, magical and full of shimmer. Life’s A Festival Eyeshadow Palette, US$42We don’t know if we can even call this a bronzer because it looks so much like a coppery-gold highlighter. Coupled with the iridescent purple highlighter? Oh my, can you just imagine this on your cheeks? There is no doubt that this was really made from unicorn tears. Our unicorn dreams are finally coming through. 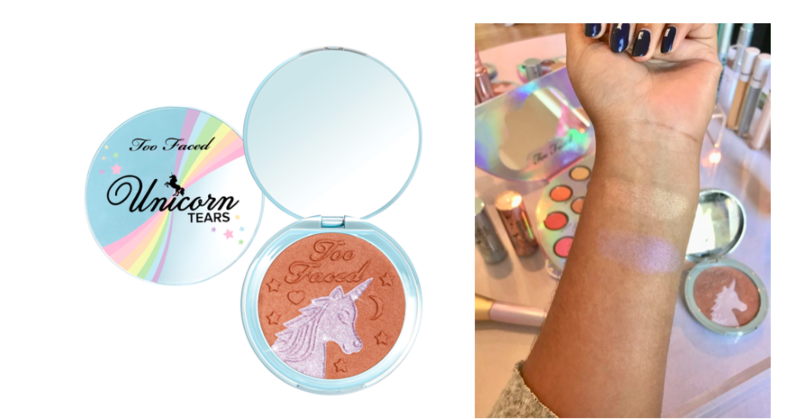 Unicorn Tears Bronzer and Highlighting Duo US$30On the topic of highlighters, the collection also has two highlighting sticks that are going to make your highlight look poppin’. They’re super pigmented and creamy for an absolute magical and dreamy highlight. Also, can we talk about the actual shape of the product? It’s not pointy like an actual unicorn horn (cause that wouldn’t last anyway) but we are already sold on it. 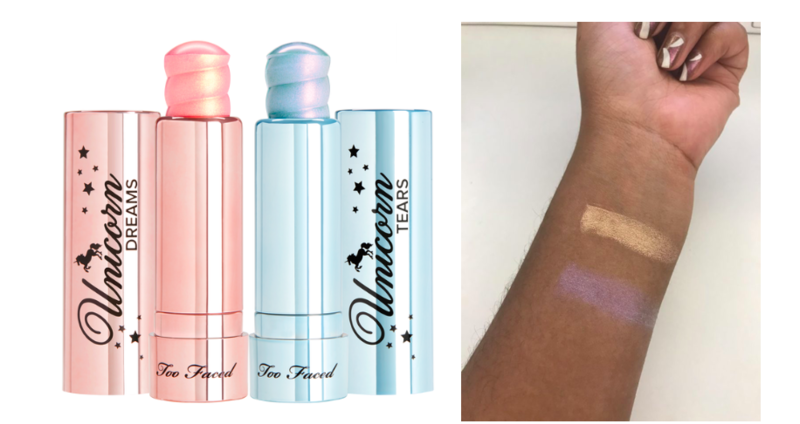 Unicorn Horn Highlighting Sticks US$28 You can also opt for a rainbow highlight with the highlighting powder from the collection. 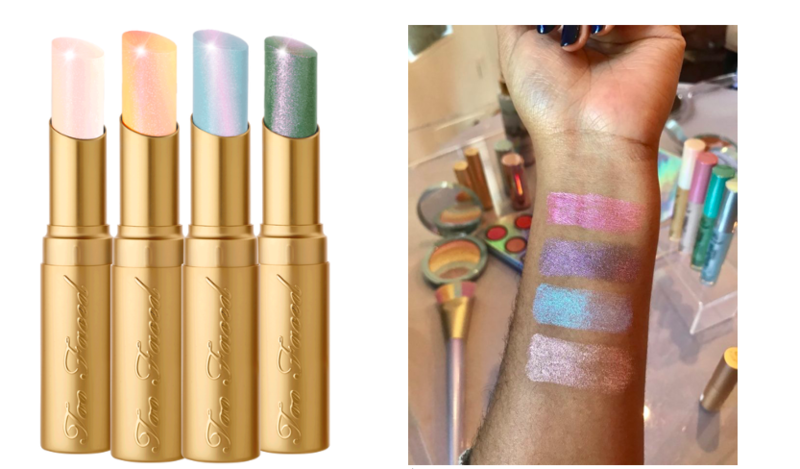 https://www.instagram.com/p/BewUyPEj_FB/?taken-by=toofacedAnd if the collection is still not magical enough for you, these mystical lipsticks actually shift colour based on your body temperature. La Creme Mystical Lipstick, $22 eachWe haven’t even covered the whole collection and we’re already drained from being too excited while writing about these 5 products. You can check out the whole Life’s A Festival collection on Too Faced’s website but do note that it hasn’t been launched yet! It’ll be officially released on 15 February on it’s website but we’re not sure when we’ll be able to see it in our local Sephoras so keep your eyes peeled for more information! For more information, go to toofaced.com.